cartoon characters. 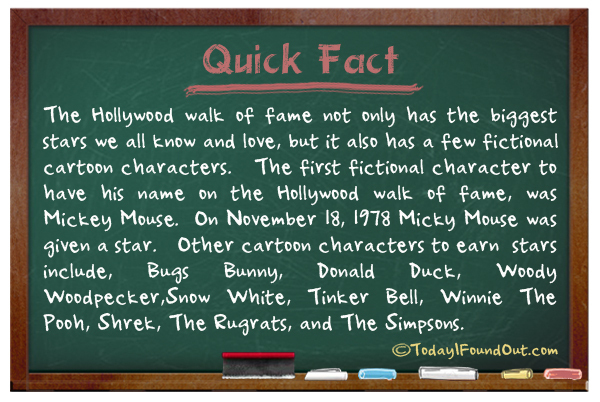 The first fictional character to have his name on the Hollywood walk of fame, was Mickey Mouse. On November 18, 1978 Micky Mouse was given a star. Other cartoon characters to earn stars include, Bugs Bunny, Donald Duck, Woody Woodpecker,Snow White, Tinker Bell, Winnie The Pooh, Shrek, The Rugrats, and The Simpsons.